Well here in Santa Fe, we are so blessed with such fantastic activities in our community especially in the summer months. 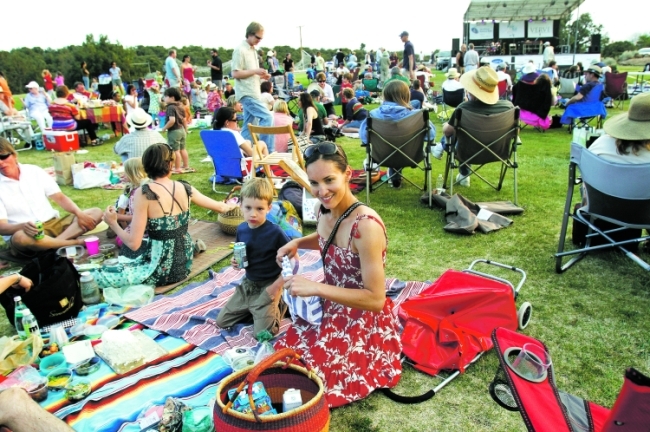 June 13th, 2012 kicks off the seventh annual Music on the Hill. This event takes place on Wednesday evening for the month of June and July. It is held at St. John’s College and it is outdoors on a beautiful grass field. Families come together after a long day of work to play, eat, dance and relax. There are food caterers on the field where you can purchase your dinner or several people will bring their own picnic basket and bottles of wine. So if you are around this summer please feel free to come kick off your shoes and join us on the field for some live entertainment, community fun and best part of all it is FREE!!!!!! Here is this year’s line up! This entry was posted in Uncategorized and tagged bob Marley, community, food caterers, grass field, live music, music on the hill, picnic, picnic basket, Santa Fe, santa fe day, st. john's college, summer fun, vacation. Bookmark the permalink.